The bigger takeaway was this: Perry, the GOP frontrunner most attuned to the persuasions of right-wing Christian voters, completely blew his opportunity to win them over. His breathy, overwrought speech rambled from “You don’t spend all the money” to illegal immigrants “peddling poisons to our children” but hardly touched on the point of the whole event: family values conservatism. Instead it was Cain, not known for his religious views, and in fact targeted at the event by the National Organization for Marriage for not having signed a pledge of theirs (the other frontrunners have), who galvanized a ballroom full of Evangelicals and born-again Christians with rousing promises to enforce the Defense of Marriage Act and protect unborn children. Perry went on at about 2:30 pm on Friday, accompanied by a thumping country anthem. The speaker who preceded Perry, Iowa Congressman Steve King, used his time to quote scripture and explicate the connections between Jesus’s teachings and the American founding. I expected Perry to continue in this vein. In fact, when he began his speech, “I’m … proud to be joined today by my best friend, somebody who has done more to enrich my life than any other person,” I was positive he was talking about Jesus. When he added that this “individual” would “be a fabulous first lady,” I began to have my doubts. Cain did much better. Introduced by VVS emcee Gil Mertz as a man who “embodies the fulfillment of the American dream,” Cain went on at about 4:30 pm. For the next half-hour Cain’s energy never flagged, thundering proudly about his self-made success and earning standing ovation after standing ovation for lines like, “9-9-9 means jobs, jobs, jobs!”—referring to his famously regressive tax plan. And when he stepped out of his comfort zone to address social issues, he did so with the same fervor. “I believe in life from conception. Period. No exceptions,” he rhymed. Liberty and the Pursuit of Happiness, he said, depended on Life—“and that includes the life of the unborn.” He’d make sure, he bellowed above the din of the ballroom crowd, that the Department of Justice would enforce the Defense of Marriage Act. 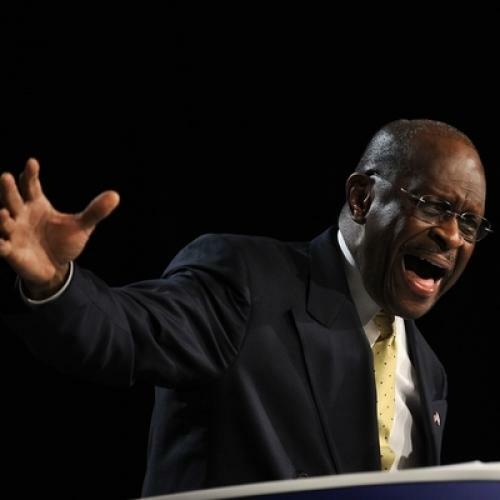 It’s well known that Herman Cain enjoys public speaking, while Perry has appeared a bit flummoxed at the last two debates. But at the Values Voter Summit, the one-time front-runner lost out to Cain on both the message and the medium.